The mythical salamander was a creature that lived in fire. 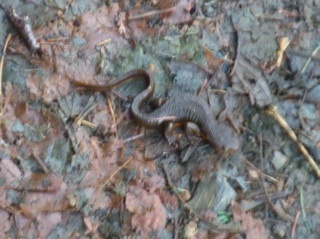 This salamander is a real creature that lives in winter. 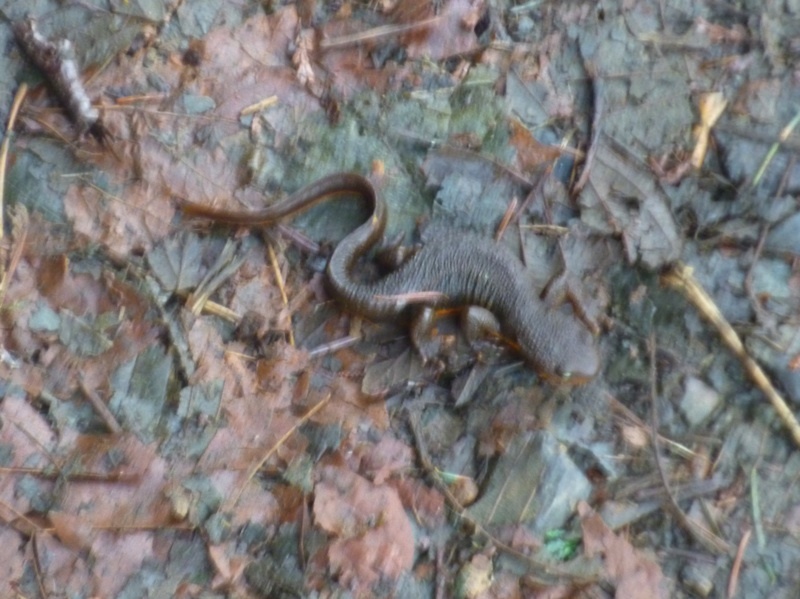 We usually don't see salamanders active this time of the year, but sometimes a warm January day will do it.